The sculpture all started rather by accident after Clive Wilson and his wife bought their house which came with an acre and a half of long neglected garden. Having created a garden from the wilderness, it struck them that the setting leant itself to some sculpture. 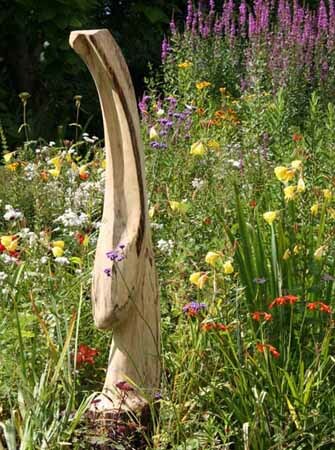 Clive started by finding interesting natural forms and displaying them in a sculptural setting. From there it was a short step to carving out his own unique garden and woodland sculptures. People came, they liked what they saw, they bought. It was all unplanned.